I was a party continuation and have returned sane at last today. The Fannie costume competition was entered, and I had the bikini of shocking pink on,and yellow Afro and did surfing. The about two month weather is bad and, for a wind and rain, the sea is a coffee color. The wave of 6feets - 10feet does not show a blue sky as crowding and shining easily with much trouble. Is it the abnormal weather which warming also caused this? . .
Seemingly I am the highest fortune for the first time in 260 years at any rate this year. The future in the case is good. This year is also very well!! Yessterday , I got a E-mail form M&M which was indebted in Hawaii many years.I was stimulated very much by their life style. They gave firm belief that its dream was surely realizable if it shifts to action earnestly. And those who have always realized the dream had gathered in the surroundings of M&M. A pro surfer, a musician, a novelist, a photographer, a molding writer, an organic farmhouse, and they were those who push a world on and have pierced through their life style toward their dream. When that had been noticed, its heart became bright and became such feeling which shone and which is wrapped by boiling some. This had been experienced several times, when it feels several times surfing , shaping it concentrates very much and it shines. All thought that it connected and became an uncanny fortunate feeling !!. I am hit by various stress in advanced civilized society, and it really lived for what purpose, and tomorrow's security cannot be found, it was committed by fear of death, and I increased the inferiority complex as compared with others, and thought that it could have a dream in the common human being who lives to various troubles, therefore a contrary. It will push on toward a dream! . Mahalo M&M. When I checked weather report of Japan, the typhoon of No.4. 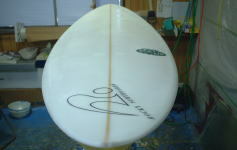 I think comming up south swell.It is always excited.And Gold coast ,too.I want to catch good wavessss!!. It moved with Osaka, Wakayama, and Kochi and moved to Australia and the Gold Coast this time. 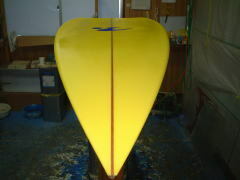 The short board world of a world level is the Gold Coast the passage which you also know now. I want to know what thing it will really be. Moreover, I do not understand when it moves, either. Without knowing why, it is drifting. ?? From now on, it does not end somehow. Mail arrived from the child of the family who is North in Hawaii and who has been indebted very much. Since it had not contacted what year any longer, it is very glad. It is the uncanny wonderful family with whom it is full of energy. It remembers could live in Velzyland, back yards, sunset, cammy's, Waimea, Marijhana's and having got to know various waves thoroughly by favor. The time of passing, while some were involved in absurd life of the energy of the Nature of North of winter, the mellow feeling of Hawaii, and this family is nostalgic. 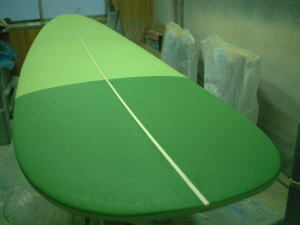 The wave for surfings does not have good sandbar, although swell is enough. 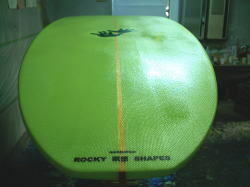 Since NEW board is checked now, I want to ride on the wave of a good shape. 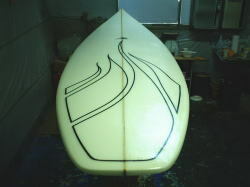 There are many things understood that it rides on a good wave too. It says somewhere and isn't there any wave? The Clark form incident which had disturbed the industry.Seemingly, material will do in spring. Moreover, I carry out the talk of the detailed thing later on. The New Year has a some wave. We got some first ridding. Although it is cold in the sea, its water is really beautiful and it may not understand the bottom of a wave anymore. I thought that some of such beauty had something energy.